Action Alert: Help Pass End-of-Life Reform! The Perfect Gift for Mother's Day – the gift of life! After passage in the Texas Senate on April 18, CSSB 303 now moves to the Texas House of Representatives for consideration by the Public Health Committee soon. This bill reforms the Advance Directives Act by preventing unilateral Do Not Resuscitate Orders, improving communication between medical providers and families, ensuring a clear and balanced process for resolving differences, and giving families the right to challenge Do Not Resuscitate Orders before a medical ethics committee. Please join the Texas Bishops in urging this much-needed reform by calling or emailing members of the Texas House Public Health Committee (find committee members here) and your state representative (find your TX representative here) to let them know you support CCSB 303. Advance Directives reform is one of the highest priorities for the Texas Bishops this legislative session. The legislation supported by the Bishops – CSSB 303 and HB 1444 introduced in the Texas Senate by Senator Robert Deuell and in the Texas House by Representative Susan King – would reform end-of-life care by improving communication between medical providers and families and balancing the protections of human life and a medical provider's conscience. The Bishops and the Texas Catholic Conference support this bill because it is based on Catholic moral principles and on reasonable medical standards for protecting patients, families, and physicians. There has been a lot of information flowing through the Capitol on CSSB 303 the last few weeks, some of it inaccurate and failing to account for the tremendous progress this bill makes in improving patient rights and protecting life. The TCC has issued a handout that provides clear evidence of the improvements CSSB 303 makes to current law. The TCC also has released a point-by-point refutation of criticisms to CSSB 303. Time: 4 p.m. to 7 a.m. Date: May 3-5 From May 3-5, it is hoped that you will pray at least one Rosary on any of the three days for the following intention: For an end to the surgical and non-surgical killing of unborn human persons. People planning on participating in the One Million Rosaries for Unborn Babies are encouraged to register here or send your intention to participate to Saint Michael the Archangel Organization, P. O. Box 41257, Memphis, TN. 38174. Sponsored by The Saint Michael the Archangel Organization. The annual Cemetery of the Innocents Graveside Memorial Service is held at one of the largest mass graves of aborted babies in the world, where more than 1,500 precious innocents are buried. Please join us to honor the memory of the children who have been killed by abortion. Everyone is encouraged to bring flowers for the gravesite. For more information, call Laura Weston at 214-358-0694. It's that time of year to remember the special mothers in our lives. Whether it's your mother, grandmother, wife, sister or daughter, you can send her a Mother’s Day E-Card reflecting how much she means to you and honoring her gift of life. 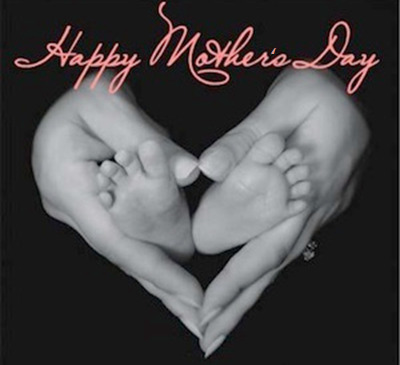 With a donation of at least $25 to the Catholic Pro-Life Committee, we will send an e-card to the mother you would like to honor. Your donation will also include a $10 Walmart gift card to be sent to your e-card recipient or you may donate the gift card to Project Gabriel in support of a mom in need. It's your choice! Click here to preview and order a Mother’s Day E-Card. 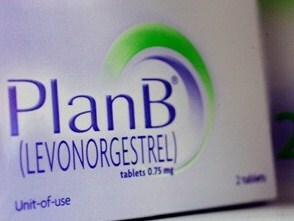 The FDA made it official [on Tuesday] saying the morning after pill known as Plan B should be available without a prescription for teenagers starting at age 15. “Plan B One-Step will not stop a pregnancy when a woman is already pregnant, and there is no medical evidence that the product will harm a developing fetus,” the FDA said in a statement. Some pro-life groups have pointed to comments from the maker of the drug and studies to show that the morning after pill can act as an abortion agent in some cases, terminating the life of a unique human being hours after conception. Continue reading. "Gosnell is much more than a 'local' story. The continuing debate over legalized abortion is a hot-button national issue that drew half a million pro-life demonstrators to Washington in January. The battle over abortion restrictions continues in every state. Forty years after the Supreme Court’s Roe v. Wade decision, resistance to permissive abortion remains high. And the vivid details of the Gosnell clinic tragedy have the kind of salacious appeal that few national media would normally avoid — if the issue were anything else. But abortion is too often, and in too many news rooms, exactly the kind of topic that brings on a sudden case of snow blindness. . . . But of course, people need to know about an evil before they can do anything about it." Read entire article.